There are 60 total users online. 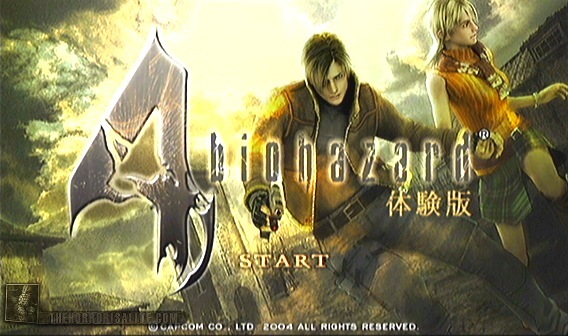 Finally we can move on from the Resident Evil 4 Trial and onto the Biohazard 4 one. 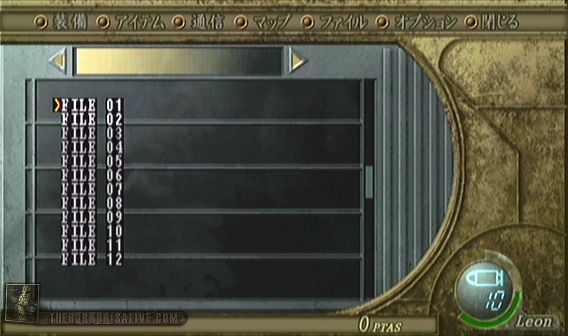 These next few pages will cover the Biohazard 4 Trial with the debug unlocked thanks to a method Mark and I found while messing around with various other versions of Resident Evil 4. I'd also like to thank Björn, our translator for helping out in this article. Without him, we'd just have tons of stuff that we would miss! The first thing you'll notice is the lack of the Debug options on the title screen. Its unknown why this version does this but its likely because the title screen options were never programmed to be shown. The only thing you can do is start the game. Once you do however you'll notice that you will spawn at the Bridge point in the first map. This was set this way by Mark and I, as any other point in the game would cause the game to crash. 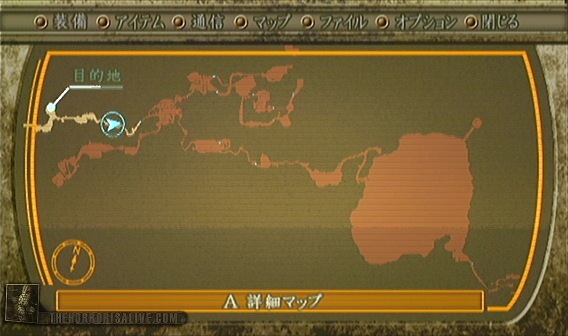 Because the spawn point is slightly farther than the initial starting point some of the games earlier sequences and occurances will mess up, such as two ganados from the beginging remianing in place outside the first house. So with that, lets see what this new debug activated version has done to the games normal mechanics. Equipment: Brings you right back to this menu, where you can adjust your items. (Key) Item: Crashes the game, apparently its not programmed in this version. Communication: Crashes the game as well. Not programmed. With the button assigned to this you can perform various actions. 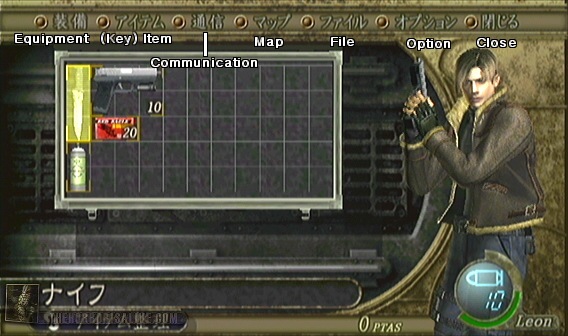 Leon has binoculars, you can press Z to use them at any time. She went missing without a trace from the Massachusetts state college. The possibility that someone has taken her to Europe is high. It was a well-planed crime, but we do not know what their intentions are. File 02 reveals that Ashley was attending College at Massachusetts State. A detail which was left open in the final version of the game. Option: When selected this does nothing but make a sound. While playing through the game with the debug menu unlocked you wont really notice too much thats different besides the above. One significant change is the ending to the demo. Rather than ending right after the villagers go into the church the game tries to load the Hunnigan radio call at the end. The game crashes at that point, so you wont be able to play the game again. It will require a reset. While searching the game I found at least two other files inside the game tucked away in random spots. These only appear if the debug menu is activated. You can identify them by the flashing sprite that is shown on some items. File 03 is located inside the first villagers house at the bookcase in the Fireplace room. About disposing corpses. Once you kill men, there aretwo ways to get rid of the corpses. 1. Gather them up at the farm and set fire to them. They will become good fertilizer. 2. Offer the corpses to the "lake" and then go away from that spot. Do not dispose of corpses while alone. Some key insights into the Ganado's world are shown on File 03. Namely, it explains why the FARM area has the stacks of bodies piled up. This file was removed in the final version of the game. File 04 is found inside the main village area, near the door which the Chainsaw Ganado would block if you were to take that path before entering the house. It is on a stove inside one of the houses front yards. Execution Orders A few days ago, captured... escaped from farm earlier... in confinement. ...Master has confirmed his intentions. ...We have no more use... for that plan. We will... execute that person... (The rest is so dirty that I can't read it.)" A very interesting file for sure, it seems to be speaking about Luis. The note appears to have spots missing as its been stained with something (perhaps blood).